Any government with such high expectations from its capital market and business backers should have already been crucified for having done nothing in the past four months to make the bankers and industrial families happy. 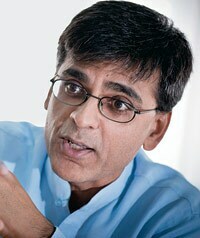 Ajit Dayal, Director, Quantum Advisors. In August 2013, the Indian rupee was the worst currency to have owned in the Emerging Market universe and the Indian stock market was one of the worst places to be invested. Today, India is a darling destination of foreign money and for local punters, who are back in the game. Discussions on market movements are the "hot topic" at social gatherings and in office canteens. The 50 per cent surge in the broader market and the 100 per cent surge in the highly risky mid-cap and small-cap indices can be attributed to two emotional factors. Firstly, there is a belief that the theft under the Congress regime is over. Secondly, there is a celebration of the historical mandate won by Prime Minister Narendra Modi on promises that he will usher in a new India. Today, the Congress loss is a reality but the Modi magic is still an expectation. 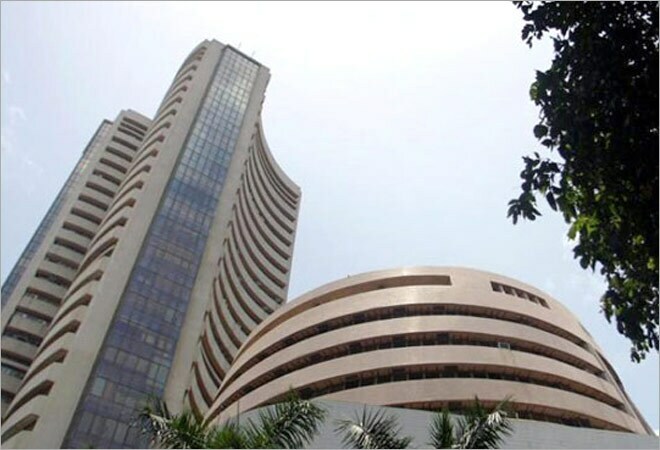 The movement of the BSE-30 Index [Sensex] from 17,500 to 22,000 should be characterised as a "thank god the Congress lost" celebration of the ouster of one of India's most dishonest and incompetent governments. But the surge of the market by a further 25 per cent is not due to any Modi Magic. Any government with such high expectations from its capital market and business backers should have already been crucified for having done nothing in the past four months to make the bankers and industrial families happy. The budget gave no windfall tax breaks to companies or owners of capital, there seems to be no letting up of the pressure on the courts scrutiny of the coal blocks, the spectrum allocations-and even the gas price wars have not been resolved. The assorted crony capitalists that dot the legislative processes across the compromised Indian economic landscape seem perplexed on why there is no moolah coming their way. Global events have helped propel share prices. The price of oil has tumbled, gold is still in a rut and even the smuggled price of gold has reportedly slipped. This has reduced India's import bill and the current account deficit. Meanwhile, Reserve Bank of India Governor Raghuram Rajan has diligently built a war chest of US dollars to offset any sudden claims that may arise from NRI depositors or foreign portfolio investors booking profits from stock market or bond gains. India's fledgling capital markets may be rattled if the US Federal Reserve begins to raise interest rates and foreign investors stop buying (or, god forbid, start selling) Indian equities and bonds in their desire to own "safer" assets. To move further - or even to maintain the levels it is at now - stock markets need to see growth in earnings to be closer to 20 per cent. This translates into an increase of over 40 per cent from the current rate of growth in earnings. Or it requires the crony capitalists to get their pound of flesh and extract the supra-normal profits they are so used to and boost the share prices of these large index-influencing companies. So far, Prime Minister Modi has (rightfully!) been working on pleasing the 250 million Indians who have put their faith in him and not been working for the few industrial families seeking hand outs. Yes, the economy will go through a natural recovery but that natural recovery cannot justify an index above 22,000. In August, retail investors have - for the fifth time since 2005 - pumped in more than $1 billion into domestic equity mutual funds. On two occasions (March 2006 and May 2006) that was a good call from a one- and two-year investing perspective. On the more recent two occasions (August 2007, January 2008), that was a disastrous call. Investors need to be more discerning. Hoping for a Modi miracle may be a reliable bet but banking on the cheerleaders of the financial services industry to give you honest and truthful advice is a risk akin to hoping that lust will turn into love.